Realisation of how many pairs of Chucks one might own sort of scares me a little bit. Yet having an opportunity to be presented with options of the most versatile footwear out there makes acquisition of Converse such an easy task. I've somehow managed to limit myself to only white (read - now dirty) and distressed denim options... So friendly the whole year around, and I really mean it, starting from feet saviours during high heel moments, random picks in the weekends to go with pretty much anything, high-and-lows for a night out, ultimate driving shoes (especially if your clutch isn't friends with any other kind of footwear) and at the end of the day simply awesome. But I might just go and explore other colour possibilities tomorrow morning. Dedication. 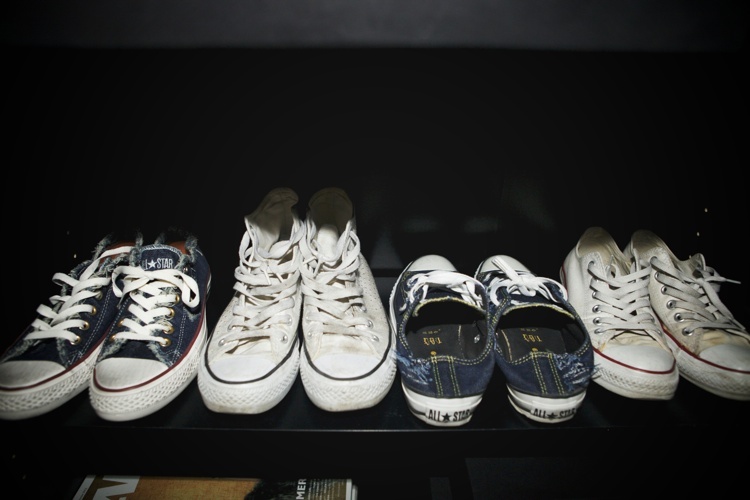 What are your most treasured All Stars? Beautiful. Classics are always good. I'm not wearing them a lot but it's good to have a pair.